The SQL Arithmetic Operators are used to perform Arithmetic operations such as Addition, Subtraction, Multiplication and Division on given Data. 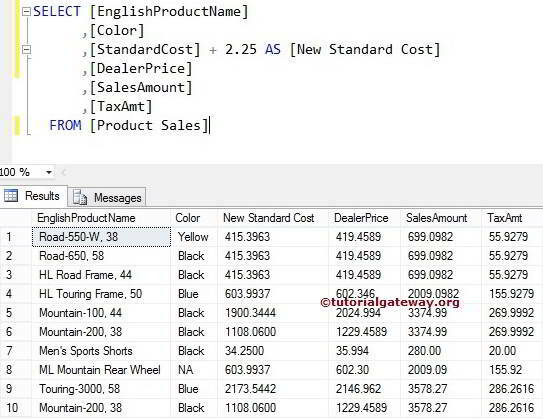 Following table shows the list of available Arithmetic operators in SQL Server. % Modulus – It returns the remainder after the division SELECT @A % @B AS Total =0 because 10%2 = 0 (Here remainder is zero). If it is 10 % 3 then it will be 1. 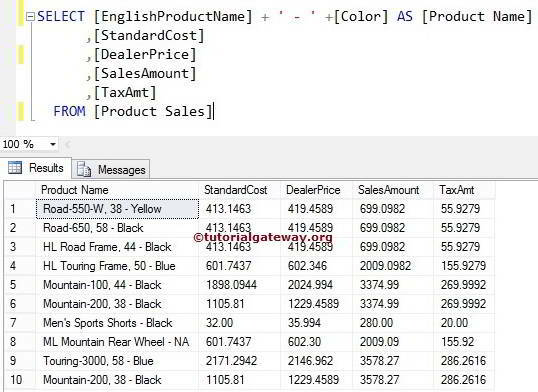 Let us see, How to perform Addition on Numerical Data in Sql Server. For example, We want to increase the standard cost of each product then we can use this addition operator to add the constant value. 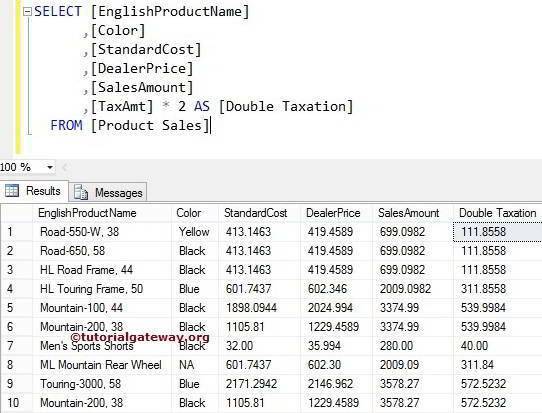 The SQL Subtract Operator is used to subtract one value from the other. 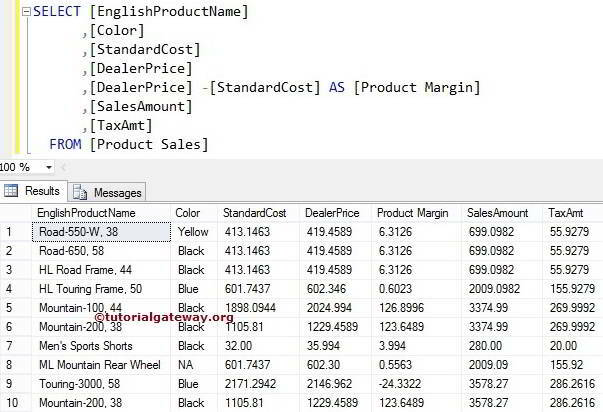 For example, The following SQL – operator query will calculate the Profit Margin by subtracting the standard cost from the dealer price. The SQL Multiplication Operator is used to Multiply one value with the other. 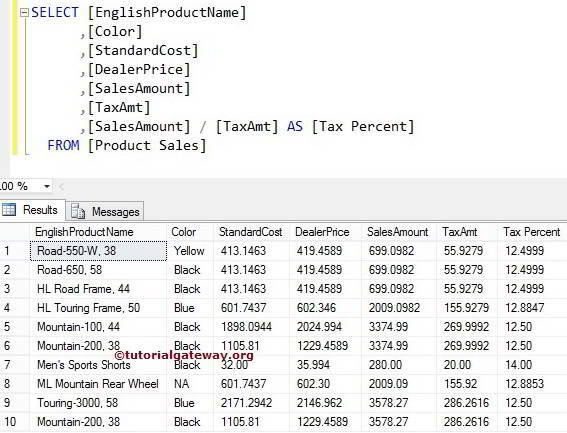 For example, the SQL * operator in following query will calculate the Tax for late payments. Here we are multiplying the original Tax amount with 2. 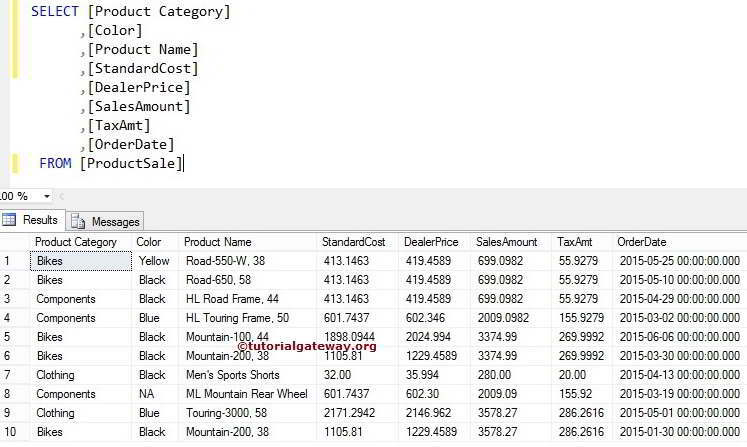 The SQL Division Operator is used to Divide one value with the other. For example, The following query will calculate the percentage of Tax we are paying for each individual product.